The United States could still impose sanctions related to the building of the Nord Stream 2 pipeline, which would bring Russian gas directly to Germany under the Baltic Sea, U.S. Energy Secretary Rick Perry said Thursday. 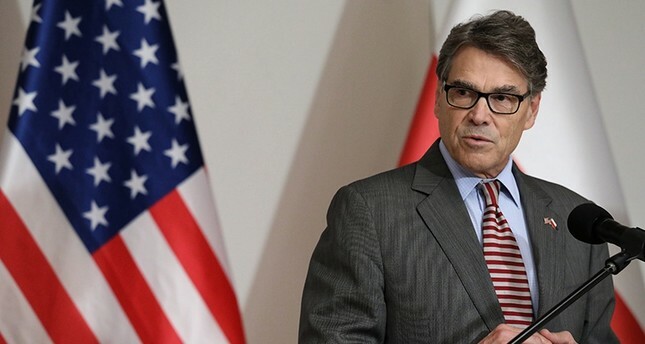 Perry was speaking in Warsaw during a visit to east European countries as the administration of President Donald Trump seeks to encourage the purchase of gas from the United States or other suppliers rather than increasing purchases from Russia. Asked at a news conference whether Washington could impose sanctions on companies working on the project, Perry said: "I saw no signals where we would ever get to the point where we can support Nord Stream 2." He added that "sanctions were an option that the president maintained." Russia's Gazprom is the sole shareholder in Nord Stream 2, shouldering 50 percent of the 9.5 billion euro ($11 billion) bill. Gazprom's Western partners are Austrian OMV along with Uniper, Wintershall, Shell and Engie. The CEO at OMV said in October he was optimistic Denmark would approve the project next year and the new gas transport route would start operations in late 2019. The pipeline, which will double the amount of gas Russia can pump under the Baltic Sea to Germany, bypassing traditional routes via Ukraine, has been strongly opposed by Poland and the United States. Warsaw and Washington signed on Thursday a joint declaration on enhanced energy security cooperation. "This is also a clear signal that the U.S. strongly supports a pro-Poland and pro-Europe energy security policy," Perry said of the deal with Warsaw. "Energy security in turn requires energy diversity. That is the reason we oppose the Nord Stream 2 project which would further increase the dangerous energy dependence many European nations have on the Russian Federation," Perry added. As part of a wider plan to reduce reliance on Russian gas, Poland has increased purchases of liquefied natural gas (LNG) from the United States. On Thursday, Poland's state-run gas firm PGNiG signed a long-term deal with Cheniere on LNG supplies. Meanwhile, the U.S. Treasury on Thursday imposed sanctions on two Ukrainians, one Russian and nine entities in Ukraine and Russia, partly for actions related to Moscow's annexation of Crime. One of the entities sanctioned - the Limited Liability Company Southern Project - was linked to Bank Rossiya and Russian businessman Yuri Kovulchuk, the Treasury said in a statement on its website.